The SureCall DualForce Signal Booster Kit has been discontinued and replaced by the new and improved SureCall Force-5. 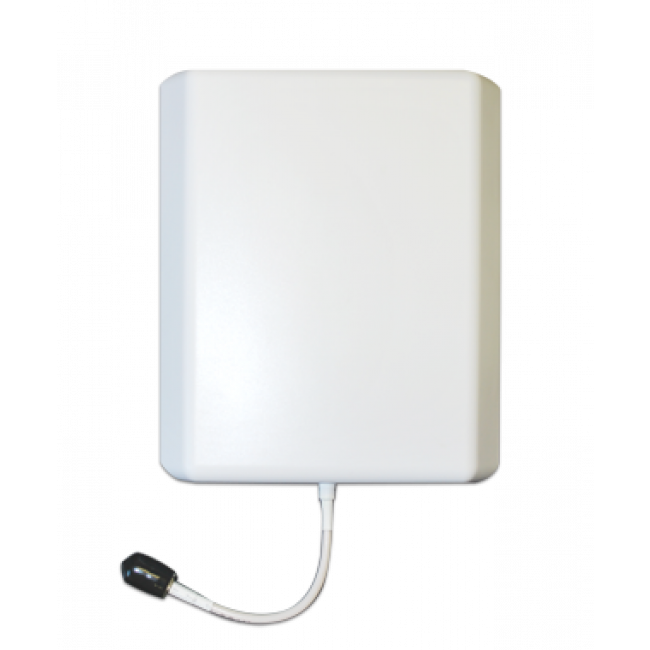 The SureCall DualForce 72 dB Signal Booster for Voice & 3G is an enterprise caliber cell phone signal booster system that features a 72 dB linear amplifier allowing it to support 100+ voice and data sessions simultaneously. The DualForce is the ideal solution for situations where you need to cover a large number of people and where cellular calls are a important service. The DualForce supports the 2G and 3G networks from all major carriers giving you fewer dropped calls, exceptional voice quality, and fast 3G data speeds. 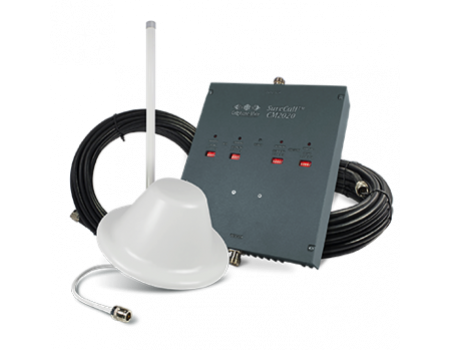 The SureCall DualForce 72 dB Enterprise Signal Booster for Voice & 3G is configurable and can include different inside and outside antennas depending on your needs. All configurations start with the same DualForce 72 dB Dual-Band Enterprise Cellular Repeater/Amplifier and include a 75 ft. LMR400 Ultra Low Loss Coax Cable that is used to connect the outside antenna to the amplifier. The remaining components can be customized to fit your needs. 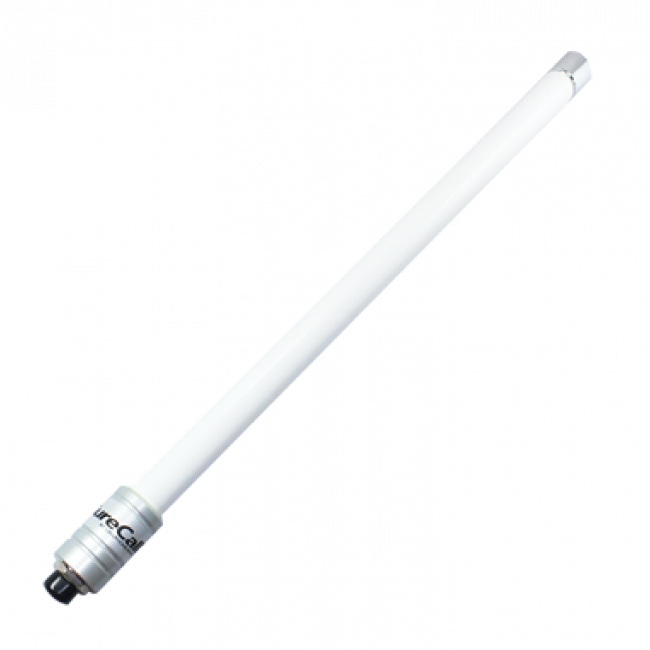 The Omni Antenna included in the kit is a SureCall CM100-L High-Gain Omni Outside Antenna with a 7 dB gain. 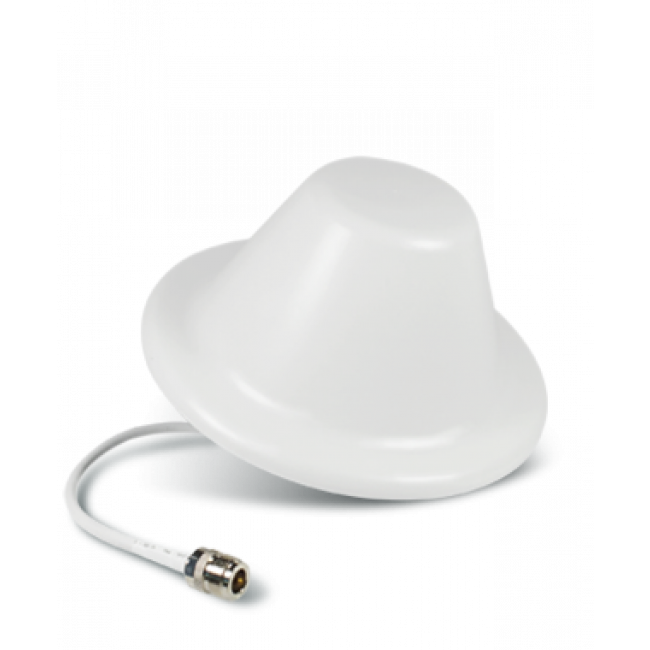 Because it's omnidirectional, it will work for all carriers in every direction that have an existing signal. 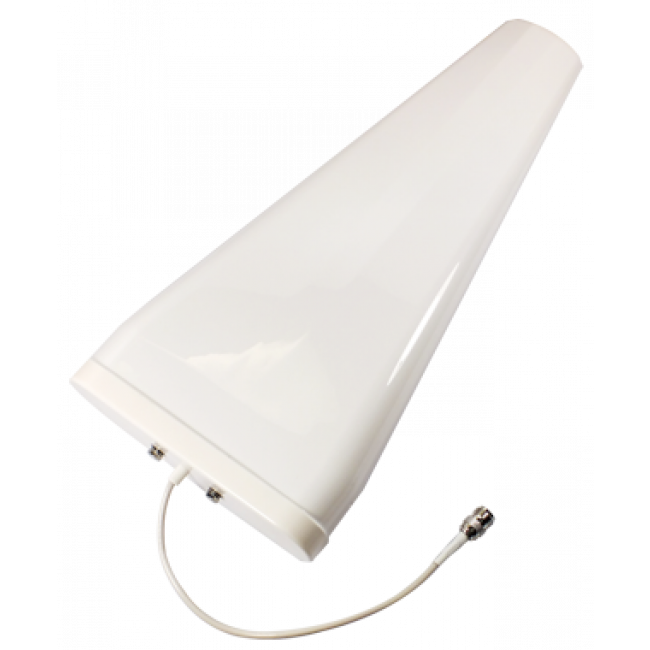 Omni antennas are generally not as powerful as directional antennas, so you'll generally get less coverage with an omni antenna and we only recommend them for situations where you have a moderate to strong (3-bars or more) existing outside signal. The SureCall DualForce comes in multiple kit sizes with 1, 2, or 4 inside antennas. All inside antennas will be the same type as you selected previously. 1 Inside Antenna: The most basic kit, comes with one 30 ft. coax cable and one inside antenna. 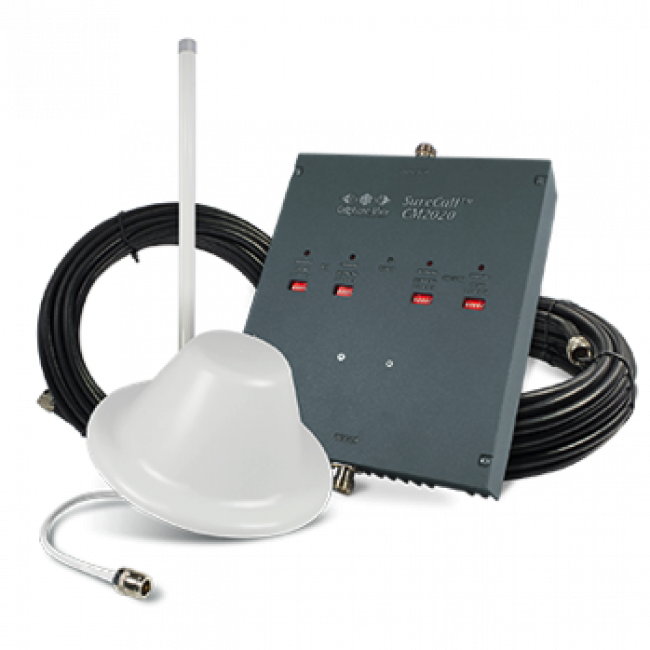 2 Inside Antennas: This kit comes with a 30 ft. coax cable, a 2-way splitter, two 75 ft. coax cables, and two inside antennas. 4 Inside Antennas: This kit comes with one 30 ft. coax cable, a 4-way splitter, four 75 ft. coax cables, and four inside antennas. For more complicated layouts, contact us for a custom kit.